As Cardiff City were making their mark on the sporting world last Sunday, the Sky Sports commentators talked of the energy and spirit of the crowd – and how it was inspiring the performance of the players. In the week that the Bluebirds were achieving things beyond anything Huw and I had imagined, Huw’s own energy and spirit was inspiring others – with Carys excelling in her GCSE results and a group of friends completing a 3 day canoeing and running event between Manchester and Huddersfield. 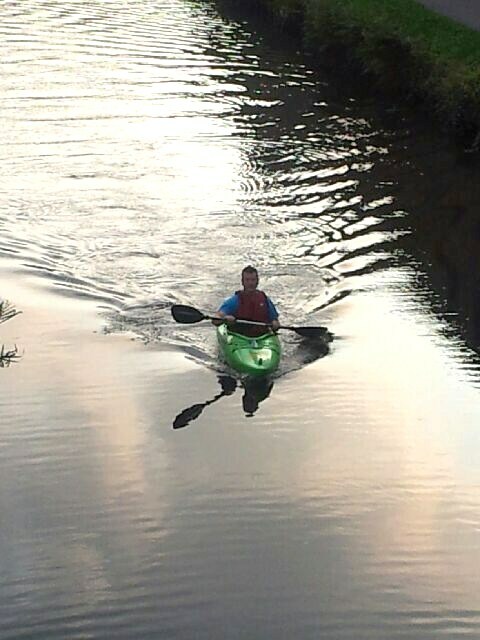 The canoeing and running was a great success in that around £1,200 was raised jointly for the Huw Trust and Cancer Research and those funds will be split equally between the two charities which were close to the hearts of all those taking part. My involvement was curtailed by a minor injury – which was enough to confine me to the sidelines on Sunday afternoon. John (aka Bambi), Abbie and Jason did a great job, and were kindly supported with transport by Claire and Richard. One of the highlights was to see Jason fall in the canal, although I was round the corner at the time so unfortunately missed this entertainment. The challenge finished on Monday lunchtime with 3 great sets from local band Suilven, and the drawing of the raffle which featured a signed Gary Cahill Chelsea shirt as the first prize. Well done Jason for organising all of this. It meant a lot that John was taking part in this event. I know Cancer Research is close to his heart, and so is the Huw Trust. John and Claire have been so supportive of the Huw Thatcher Trust over the last 2 and a bit years and Huw and John go back a long way. 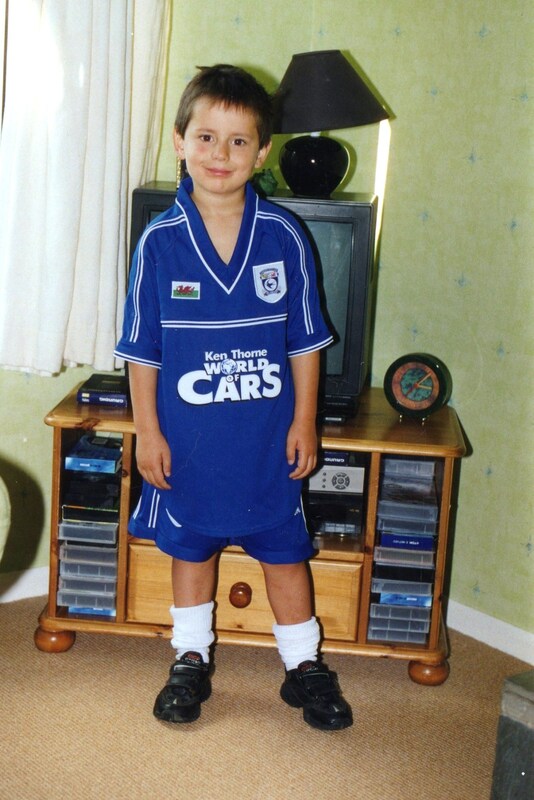 We have smiled at various times recently about the day Huw first turned up at his first Hepworth United training session at the age of 6 – much to John’s surprise and amusement wearing a Cardiff City strip. Here is Huw the morning of that first training session. 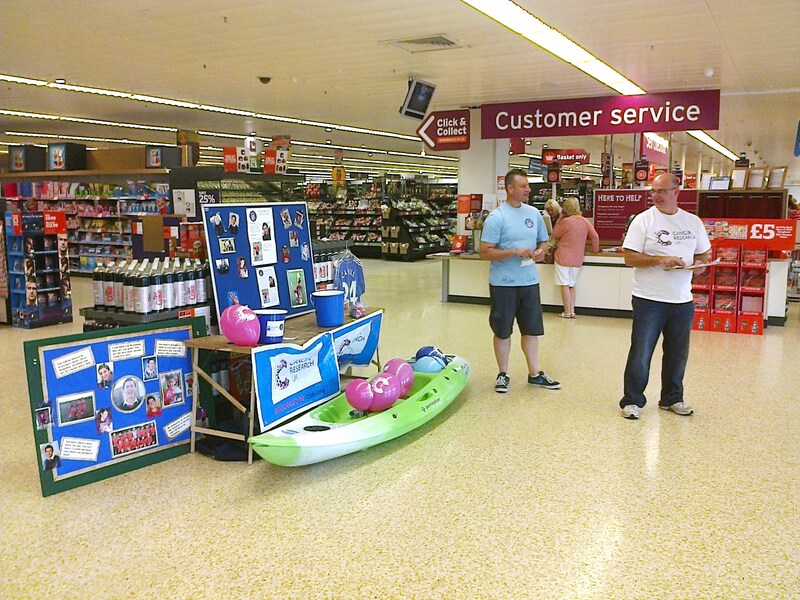 Thank you to everyone who donated raffle tickets, and who took part in and helped with the canoeing and running challenge last weekend. As we were selling raffle tickets and organising this event, I spoke to a number of people who didn’t really know Huw, but knew of him. Some of those people said to me ‘the whole town was shattered by what happened’ or ‘I wish my children had met Huw’ or ‘I wish I had met Huw myself’. Friends tell me that when they’re selling a raffle ticket or getting sponsorship for the Huw Trust – people just say ‘oh yes the Huw Thatcher Trust – of course’ – I experienced that myself at Sainsbury’s in Huddersfield when we sold raffle tickets a couple of weeks ago. These experiences are such a positive reflection on what a lad Huw was – and on what the Huw Thatcher Trust stands for. This is of course down to Huw’s friends and his family members who have expressed themselves so positively to remember Huw. Just before the canoe and running challenge, Carys went off to get her GCSE results and people will know how proud of Carys we are – for getting on with things so well despite the distress about Huw, as much as for the excellent results she got. Results days are big days in teenagers’ lives but it seemed so much more than that when Carys got her results. I hope her big brother (he will ALWAYS be her big brother) is somewhere where he knows about this and can be as proud of her as the rest of us are. And so he can know we are just as proud of everything he achieved and stands for too. 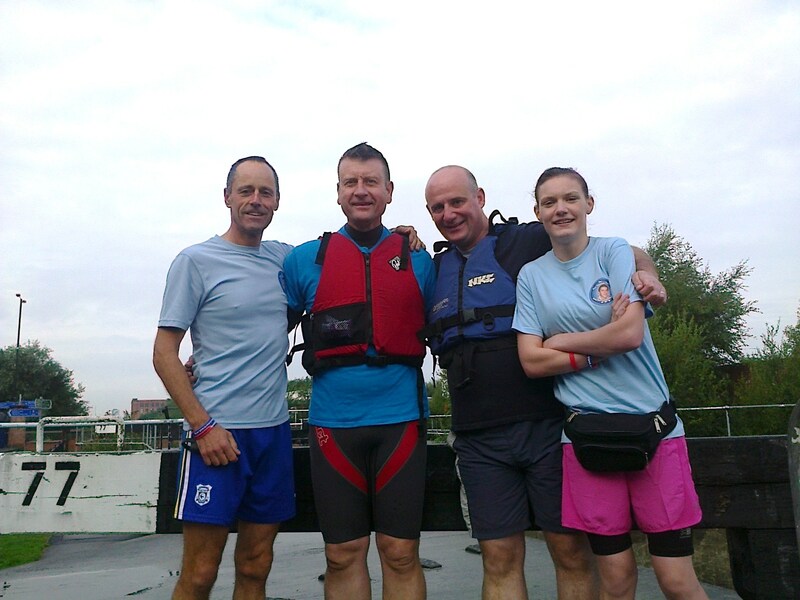 And then of course towards the end of the canoe and running challenge came Cardiff City’s first home Premiership match (against the giants of Manchester City.) Only 3 players that Huw knew of as Cardiff players were playing against Man City, but I could ‘hear’ Huw talking about Gary Medel, the new star in Cardiff’s midfield – laughing about his nick name the ‘Pitbull’ and the fact that this Chilean player is named after Gary Lineker! I could imagine Huw laughing about the dress sense of the club’s Chairman – which was hilarious and visible for millions to see on Sky Sports.! I could ‘see’ Huw smiling and cheering about Fraizer Campbell scoring those 2 amazing goals – a young guy who was brought up in Huddersfield starring for Cardiff City in the Premier League. Football clubs are linked with our lives; the players come and go, as do the managers and even the stadiums – but the memories stay forever and the memories of Huw’s passion and love of Cardiff City will always be with me and Carys. I know many of Huw’s friends feel the same – not because it’s Cardiff – but because of the little boy who turned up at training in the Cardiff City kit 11 years ago – and because of the smiling, funny and charming young man that we all remember and love.